Many media codecs are included in Windows Vista, but as technology changes daily, it is important to know how to install new codecs for the Windows Media Player. 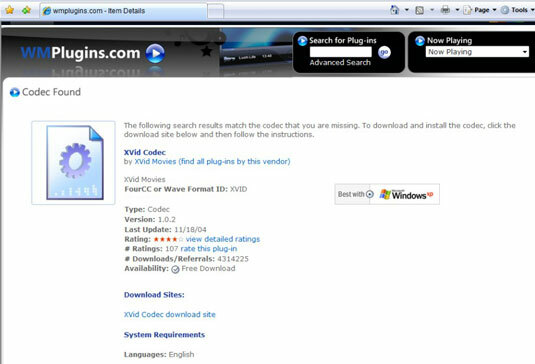 Codecs are important in the Windows Media Player world because you need a codec to translate different kinds of media files into data that WMP can understand. A codec (short for coder-decoder or compressor-decompressor) is a small program that converts data from one form to another. Unfortunately, filename extensions don’t tell the whole codec story. For example, WMA files can have a WMA 7, WMA 9.2 or WMA 10 format. It’s up to Windows Media Player (or Winamp, which also plays WMA files) to look inside the file and decide which format was used to create the file. After the determination has been made, WMP (or Winamp) hauls in the right codec to decipher the file. You don’t need to lift a finger. Sometimes, though, Windows Media Player doesn’t have the correct codec on hand to play a particular file. For example, AVI is a popular file format that can be created using a particular kind of video-encoding technique called DivX. 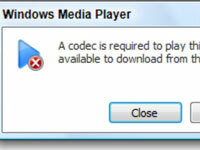 Although DivX files are gaining in popularity, Windows Media Player still doesn’t include its codec. So, in order to play a file using this format, you need to install a new codec. 1Double-click a video or audio file. 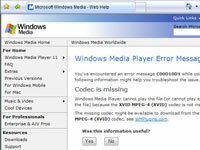 When you try to play a media file that WMP doesn’t understand, WMP helps you find the codec. In this case, WMP can’t find the codec necessary to play The Cabinet of Dr Caligari_xvid-belos.avi, so it shows this message. 2Click the Web Help button. 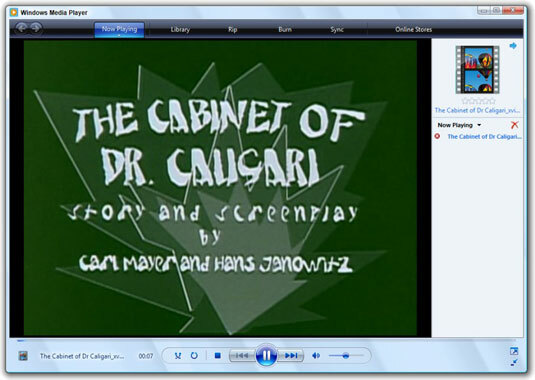 Windows Media Player fires up Internet Explorer (or your default Internet browser) and connects to a Web site that specifically identifies the missing codec. It needs the Xvid MPEG-4 (Xvid) codec. 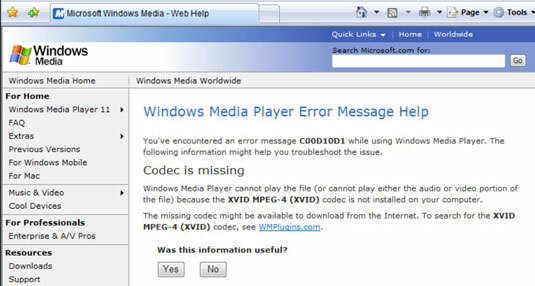 The WMPlugins Web site — which is owned by Microsoft — gives you a link to the Xvid codec. 4Click the link to the codec download site. 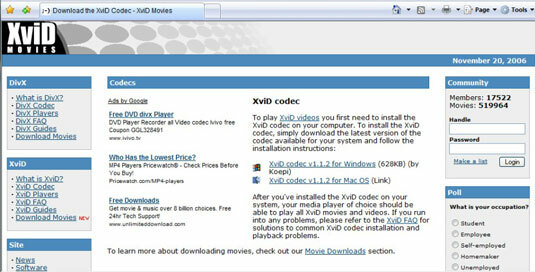 In this case, we click the Xvid Codec Download Site link to find the missing codec. Microsoft shows a disclaimer that Microsoft is helping you leave a Microsoft site and that the site you’re going to — the one with the codec — isn’t associated with Microsoft. 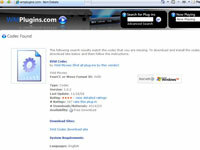 WMPlugins transports you to the download site. 6Click the link to download the codec. Internet Explorer goes through the usual file download routine. 7When the download is done, click the Run button. You may have to click through some scary-looking dialog boxes saying that the publisher couldn’t be verified and allowing the installer to run. Eventually, you get to the codec’s setup wizard or something similar. If it tells you to close all other applications, click the red X to exit the umpteen Internet Explorer windows. 9Go back to Windows Media Player and click the Close button on the original codec notice, and then click the red X to exit Windows Media Player. Ultimately, the codec is installed. 10If you closed Windows Media Player, double-click the video or audio file again. 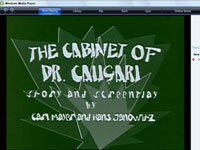 This time, The Cabinet of Dr Caligari_xvid-belos.avi plays like a champ.